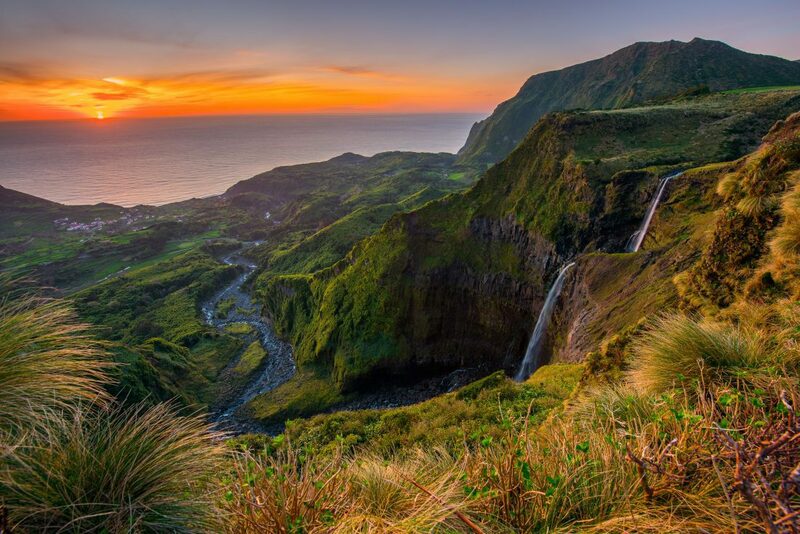 The Açores Archipelago was re-discovered 60 years before Columbus discovered North America. At this time, these islands were truly the end of the world as Europeans knew it. One can only imagine the thoughts of the first explorers when they saw this wild place in the middle of the harsh North Atlantic Ocean. 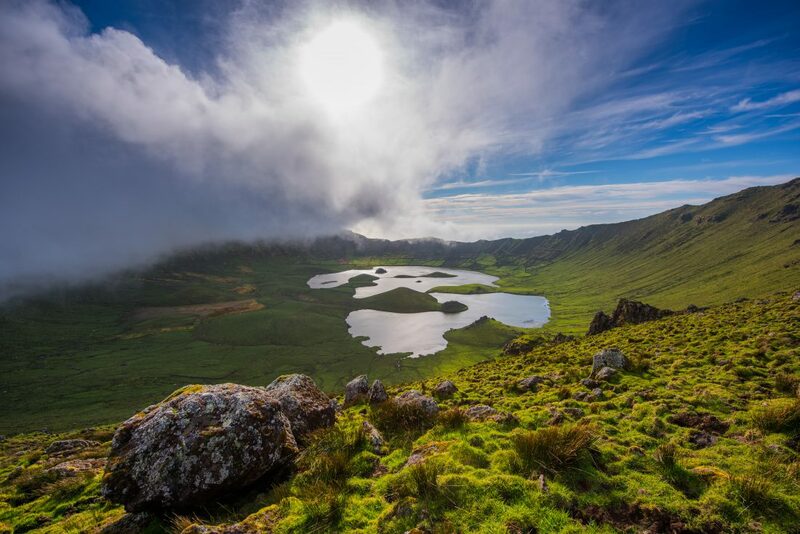 The Caldera (Caldeirão) on the Island of Corvo is one of the most peaceful and enchanting places in the Atlantic Ocean. Despite almost 600 years of settlement, this place still feels on the edge. I feel like if there was a landscape to epitomize “end of the Earth”, this volcanic landscape would be it. However, there’s more to this than what’s visible on the surface. 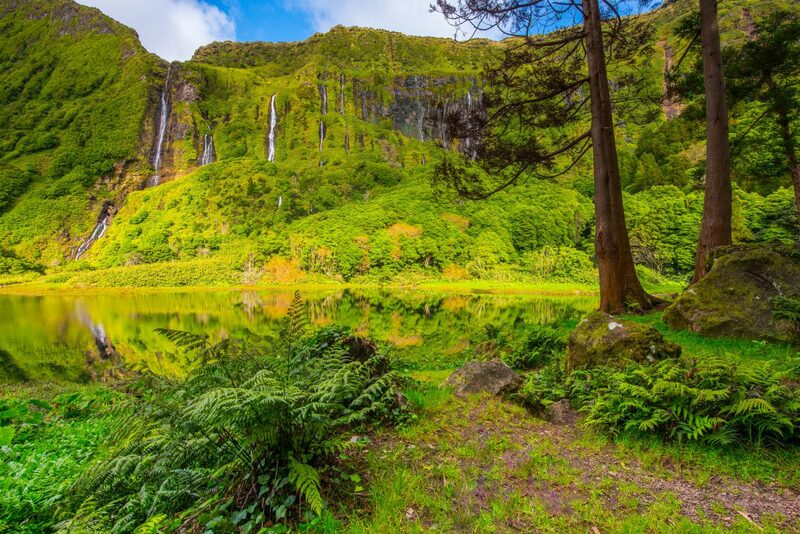 The reason for the Azores creation is that it literally is on the edge, of 3 tectonic plates! The Island chain sits directly on top of the spot where the European, African, and North American plates intersect. Here it is possible to sail from one island that is in “Europe” and arrive in “Africa” or “North America”. All of the pushing and pulling of these 3 massive continents is the catalyst for the volcanic activity that is still creating the islands today. Just 50 years ago, the island chain’s land area increased by 2km2 ! 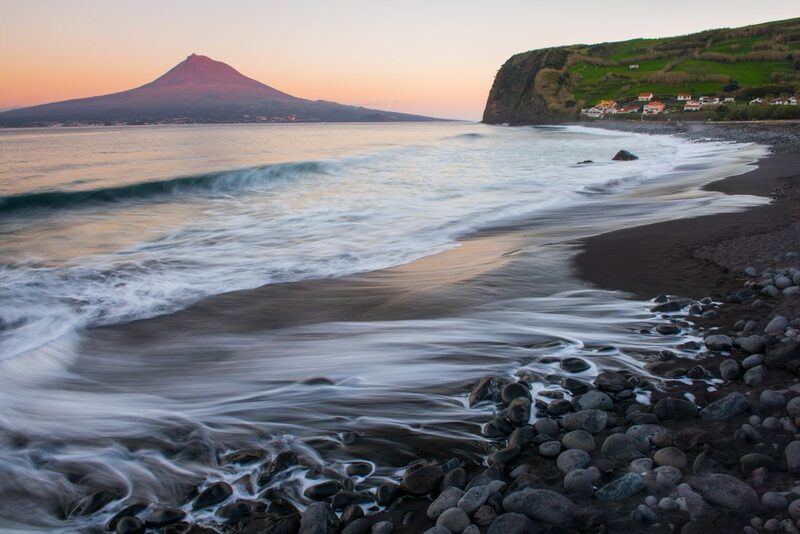 Panorma of the Capelinhos Volcano on the West coast of Faial. 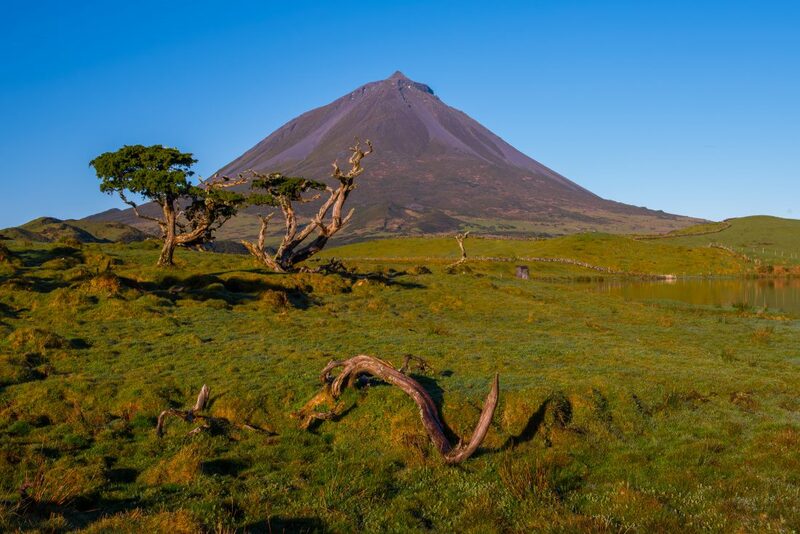 The plateau beneath Pico Mountain looks like the savannas of Africa. Technically it is on the African tectonic plate. Beautiful black sand beaches are common throughout the archipelago. 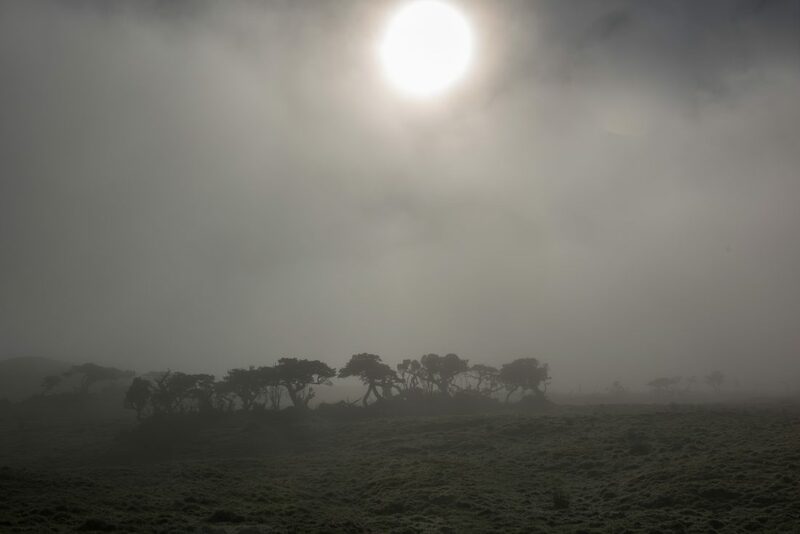 The high altitude plateau of Pico is prone to frequent fog. The fog is created by the moisture laden air straight off of the ocean. 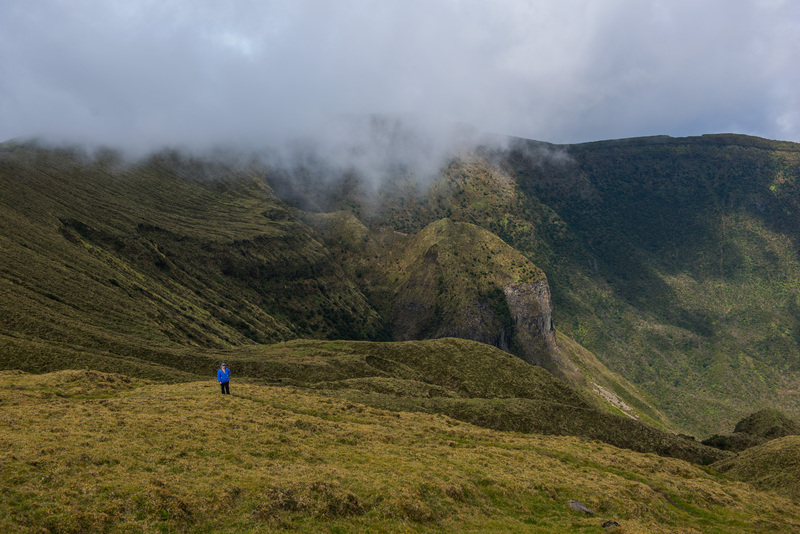 Michelle hikes around the rim of the massive volcanic caldera on the Island of Faial. The mysterious volcano of Pico towers above Porto Bim Bay. often shrouded in clouds, I was fortunate to able to capture images of the mountain on 3 different days. Because of this “creation”, one could argue that this isn’t the end of the Earth, but the beginning. Thanks to copious amounts of of moisture, the islands are incredibly green. In fact they are like gardens, growing citrus fruit and pineapples year round. Flowers bloom all year, and a deep shade of green pervades every hillside. The archipelago is so fertile, that most of Portugal’s milk (and excellent cheese!!) is produced here. Locals even figured out a way to cultivate grapes here and create world-class wines. 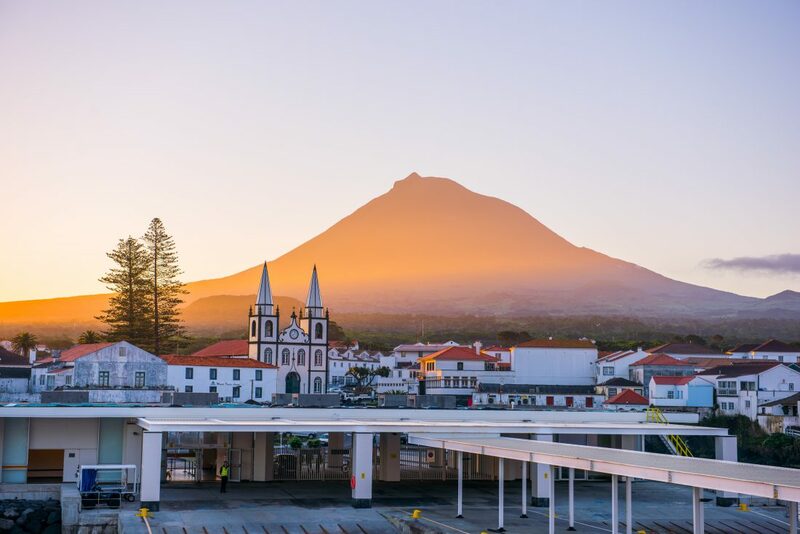 So, despite being at the “end of the world”, The Azores are a true paradise. However, little word has gotten out about this wonderful place, so you might have it all to yourself (as my wife and I did)! 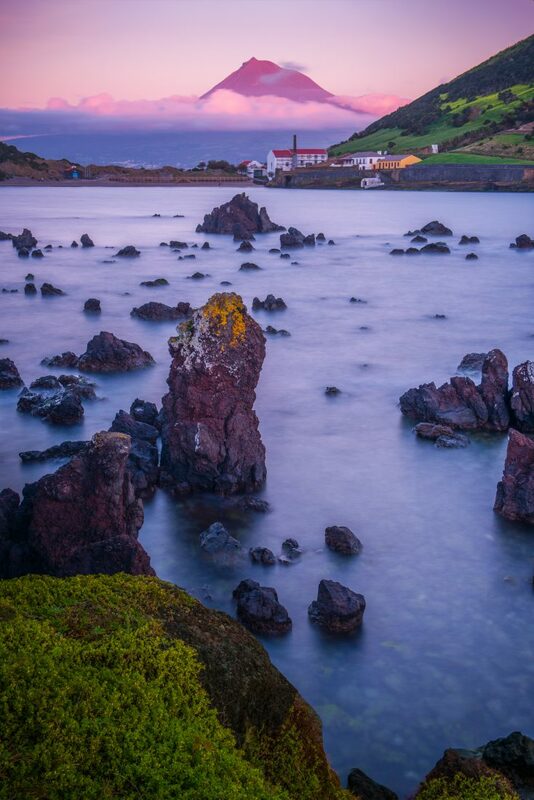 At the end of Europe is a place that is so far West that it doesn’t look like anywhere else on the continent. In fact, it’s geologically part of North America. 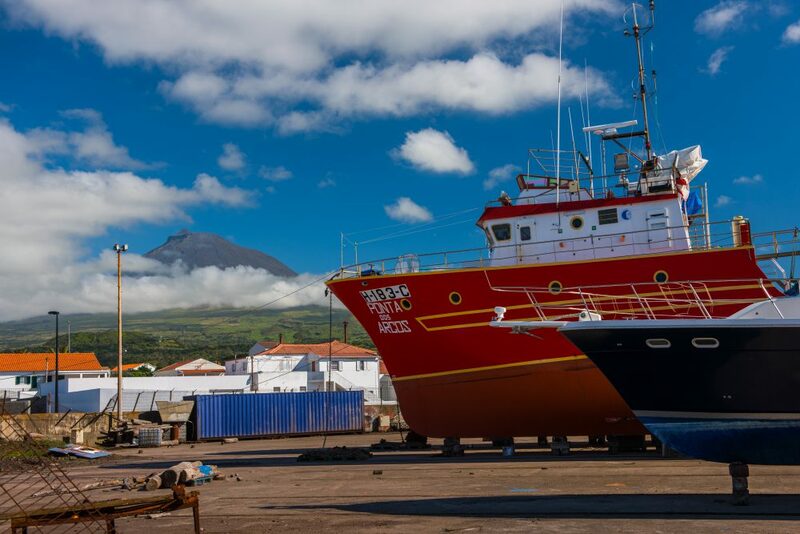 Fishing boats slumber beneath Pico, Portugal’s highest mountain. Poco Ribeira do Ferreio. Located on the West side of the Island of Flores, the steep cliffs here intercept copious amounts of moisture blowing off of the Atlantic. 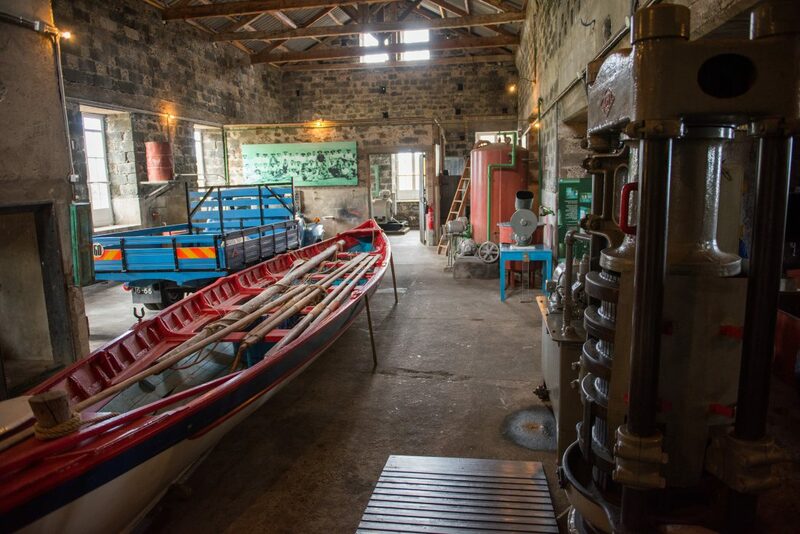 Moving water is so plentiful on this island, that locals employed numerous watermills to grind locally harvested grains. Sunrise on the Island of Corvo. 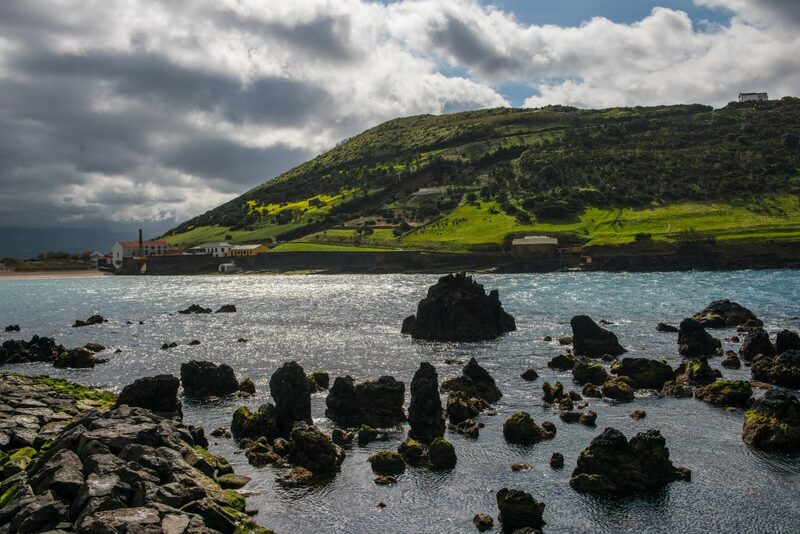 The bountiful waters in the Azores are host to much marine life. So much so, that whale harvesting was once a common activity. 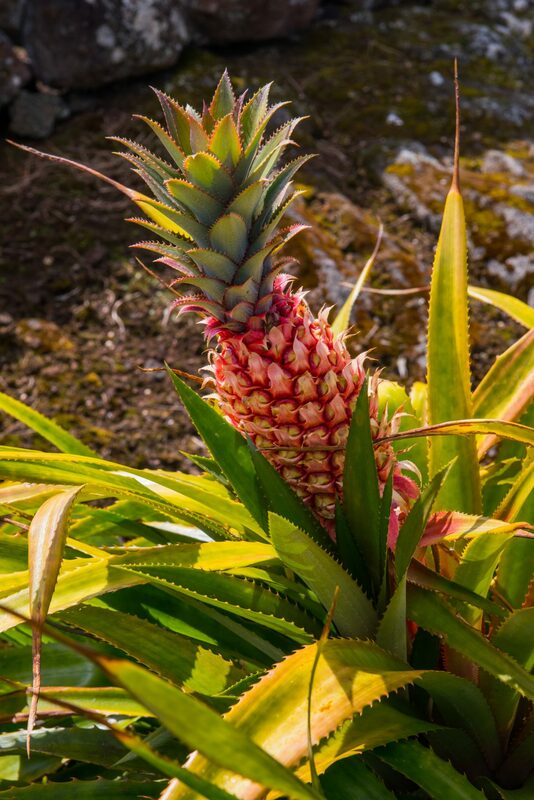 The climate is warm enough and the soil is rich enough to grow pineapples! 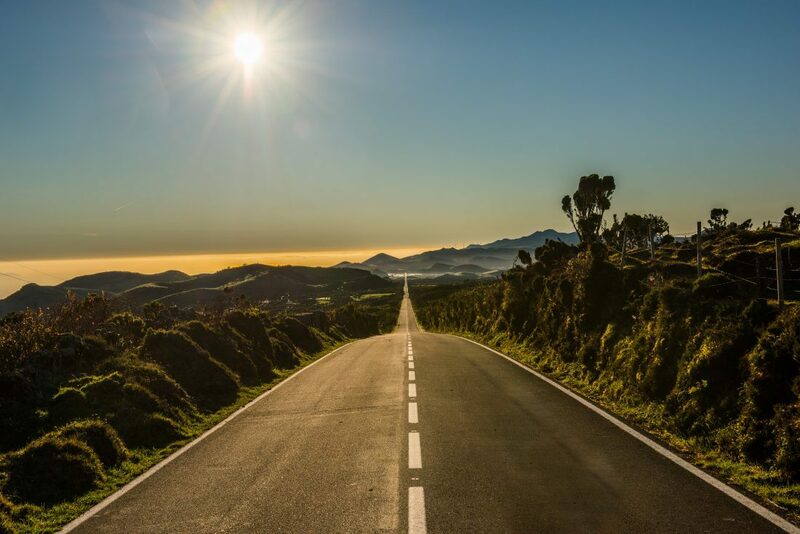 An incredibly straight highway crosses the high-altitude plateau on the Island of Pico. 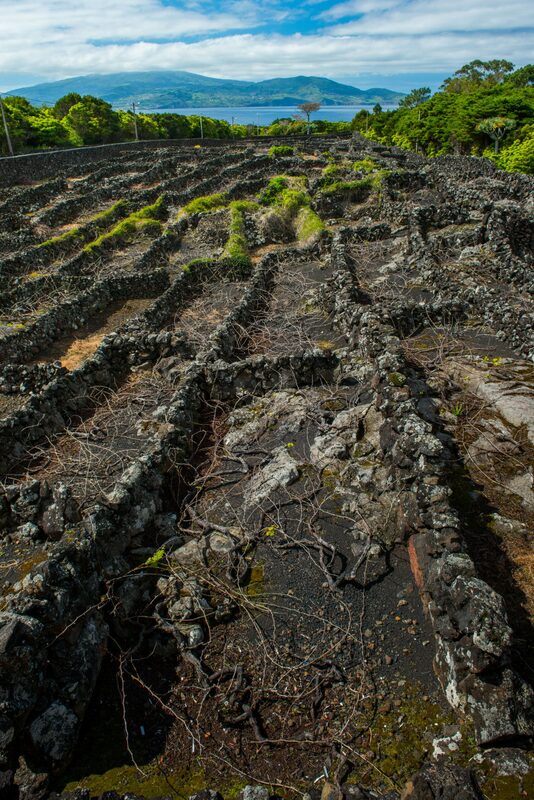 The residents of Pico devised a method of planting grape vines so unique that the area is now a UNESCO world heritage site. The vines are planted horizontally in enclosures to protect them from harsh mid-Atlantic winds. Thanks to the rich volcanic soil and cool summers, the area produces excellent wines. Beneath Pico da Se is the lush Fazenda valley with the Island of Corvo in the distance. Every morning during the winter, this place is the first place on the North American plate to receive the sun’s rays.